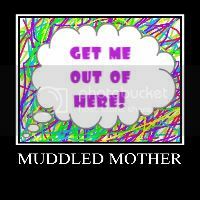 A Muddled Mother: Looking for a book to Read! You Can't Miss This One! Looking for a book to Read! You Can't Miss This One! Good Cop, Bad Daughter-A Book By Karen Lynch! Once in a while every mama in the world feels like she holds the title of “Worst Mom Ever.” It’s part of our job description to feel guilty about our choices and second guess every decision. Want to feel better about your parenting skills? Have I got a book for you! 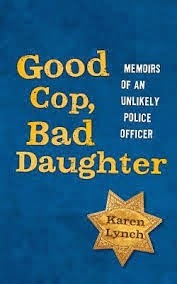 Karen Lynch’s highly acclaimed memoir, Good Cop, Bad Daughter, recounts her upbringing at the hands of a narcissistic mother and takes us all on her journey of survival where she finds that miraculously her suffering as a young child actually helps prepare her to become one of San Francisco’s first female cops. When I picked up Karen’s book, I was prepared to read a “Glass Castle-esque” story that told the tale of a poor child who was swept up into the chaos of being raised by a mentally-ill parent. And while Good Cop, Bad Daughter does read very much like a Jeannette Walls’ classic, what struck me about THIS particular memoir-of-a-mom-gone-wrong is the strength that Karen possessed to not only overcome the pain of her childhood but to use each and every horrible moment as tools which ultimately helped to propel her to become the woman she is today. Good Cop, Bad Daughter is a funny, poignant and gut wrenching story of a child with an unmedicated mentally ill mother who thankfully is able to find acceptance and “family” in the most unlikely of places; the summer of love counter culture of Haight-Ashbury, from men in a men’s club who never wanted her in the first place, and among a few other brave women who dare to try and be the first of their kind in the San Francisco police department. The reader agonizes over the cruelty Karen experiences repeatedly as both a lonely beleaguered child and a female trying to make her way into the all-male world of the San Francisco Police Department. We wring our hands with worry along side of Karen as she anticipates what disasters may come next from her unpredictable mother, and are tormented when her career and private life dramatically collide. Looking for a book about overcoming the odds? Good Cop, Bad Daughter constantly reminds readers of the amazing resilience of the human spirit. Karen’s determination to make a life for herself that was different than the one she experienced as a child, her grit, tenacity and her “never give up” attitude remind us all that nothing in life is impossible.